Discount available! 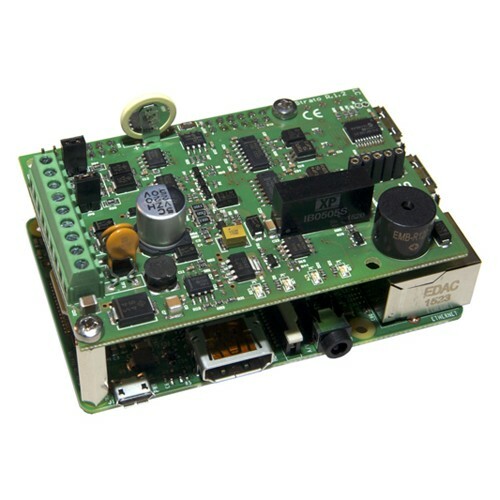 Recommend Strato Pi - UPS board for Raspberry Pi to your friends and get your Discount. Strato Pi is a professional expansion board for Raspberry Pi. Its hardware features allow Raspberry Pi to be used in applications where reliability and continuity of service are key requirements. It is compatible with Raspberry Pi B +, Raspberry Pi 2 Type B, Raspberry Pi 3 and attaches directly to the GPIO connector. 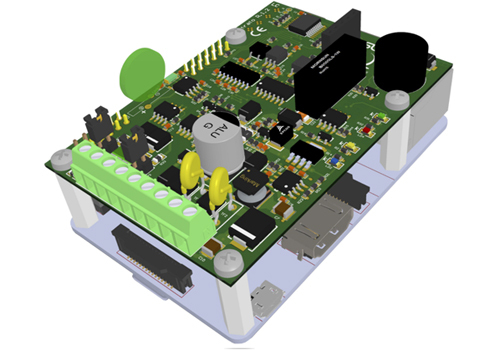 It has a power supply stage high-efficiency, real time clock with battery backup, an RS232 port, an RS485 port, hardware whatchdog and one UPS stage that guarantees the full functionality of Raspberry Pi main power even in absence. Dimensions (mm): 32x22x13. N.B. Raspberry Pi is not included. Power Supply: The power stage is made using a high-efficiency voltage regulator, oversized electrolytic capacitors, diodes and inductors. Accepts wide input voltage range from 9 Vdc to 28 Vdc. 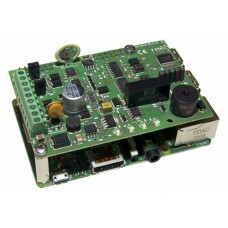 Real Time Clock: has a real-time clock / calendar with battery backup, Raspberry directly connected to the board via the I²C bus interface. Serial Port: has an RS232 and RS485 serial port; its interface circuits are isolated from the main power supply and the battery, thus avoiding possible failures due to the round of mass. UPS: The battery charging stage (protected and filtered), allows you to power the system without any interruption even when the main power fails. This stage performs charging the battery (not included) through a step-up converter with high efficiency, generating the optimum charge voltage independently of the main power value. 9 to 28 Vdc power supply with overvoltage protection and reverse polarity. Real time clock with back-up lithium battery. The RS-232 and RS-485 lines are opto-isolated and protected from electrostatic discharge. Buzzer connected to an I / O pin of the Raspberry Pi board. Status LEDs for power and activity of the serial line. Power supply and serial connections on a screw terminal block. Lead-acid battery maintenance free, high energy density, produced by FIAMM widely u..